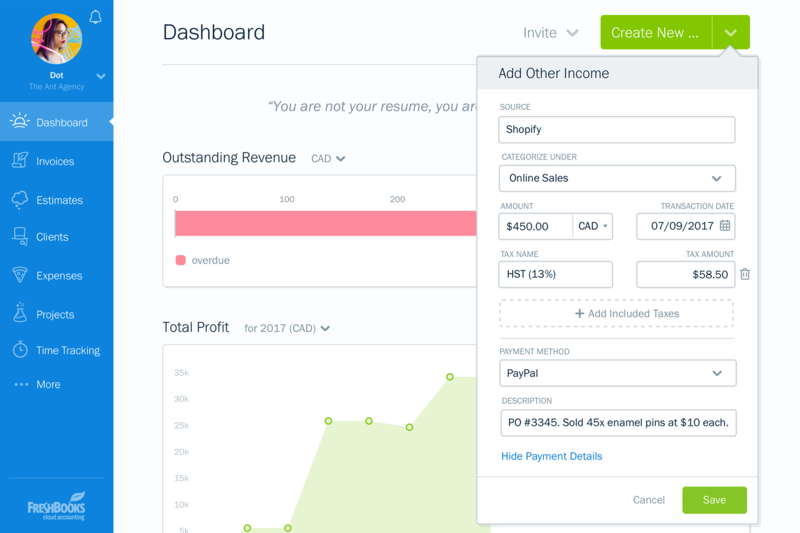 Other Income and Cost of Goods Sold make accuracy a cinch so your small business accounting becomes even less painless. At FreshBooks, we’re always listening to customer feedback in order to improve and build new features to help you pursue your passion. New this month: Other Income and Cost of Goods Sold (COGS). 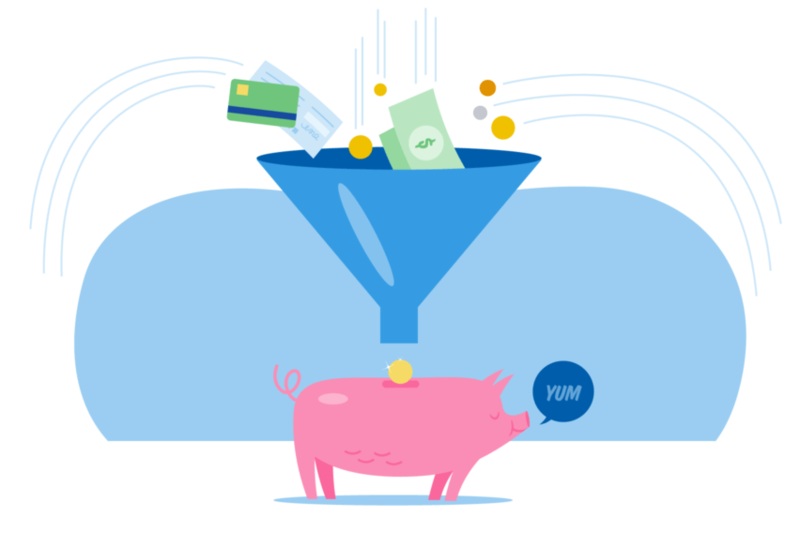 These features work independently in FreshBooks to make it even easier for you to capture and categorize transactions with precision. Many small business owners need to record their non-invoice income. Perhaps they’re a tradesperson who picks up a small cash job, or a blogger who also has an affiliate income, or even a photographer who also makes sales to a stock photography site. Very often, other income comes in drips and drabs. But, over time, it all adds up. And we all know how pesky those small amounts can be when tax time is looming. So, it’s absolutely no surprise that Other Income has been one of the most requested feature enhancements. Other Income turns the sticky-note-pile-random-email-chain-workaround-nightmare into a 3-click dream. Think Other Income doesn’t apply to you and your business? It might be worth reconsidering. Now that you have this handy dandy feature at your fingertips, why not think about how you might use it? Diversfying your income is also a great way to future-proof your business. Instead of relying on a single service and a handful of clients, having income from a number of different sources can make or break you in the long run. 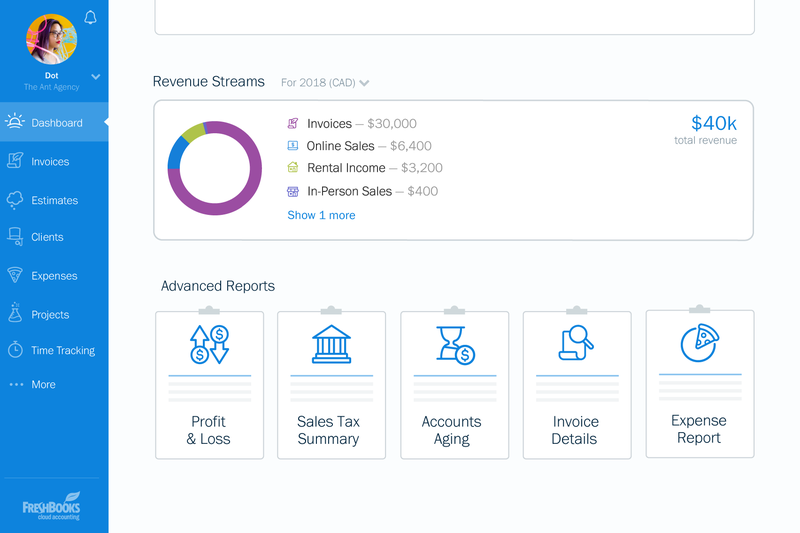 So, diversify when you can, then accurately capture those revenue insights securely from a single place – the place you already use to master small business accounting: FreshBooks. Step 2: Make sure that when you’re filling the fields, be as specific as possible. That way, when it comes time to look at your reports, you’ll get heaps of helpful insights about where your income is coming from. 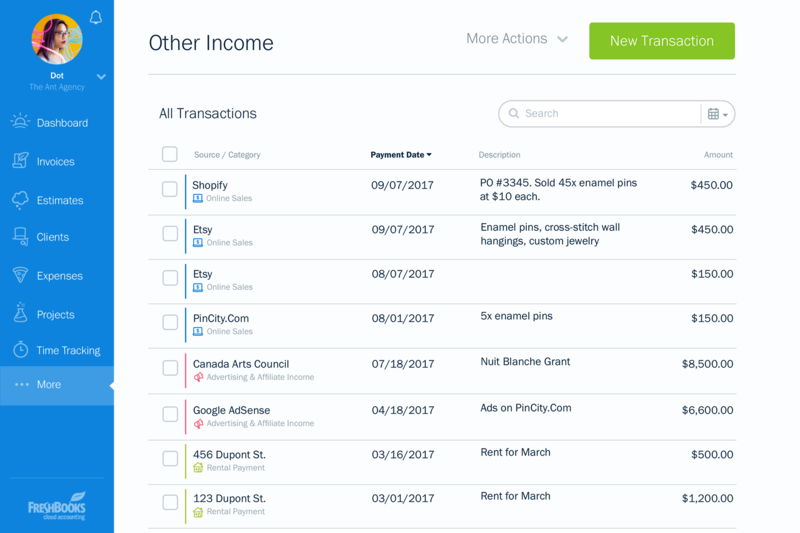 Step 3: FreshBooks not only keeps track of all your entries, but also color codes them for easy skimming. To access your list, click the “More” tab on the blue stripe from anywhere in your account then select “Other Income.” You’ll be brought to this page where you can search, review and even add new entries. 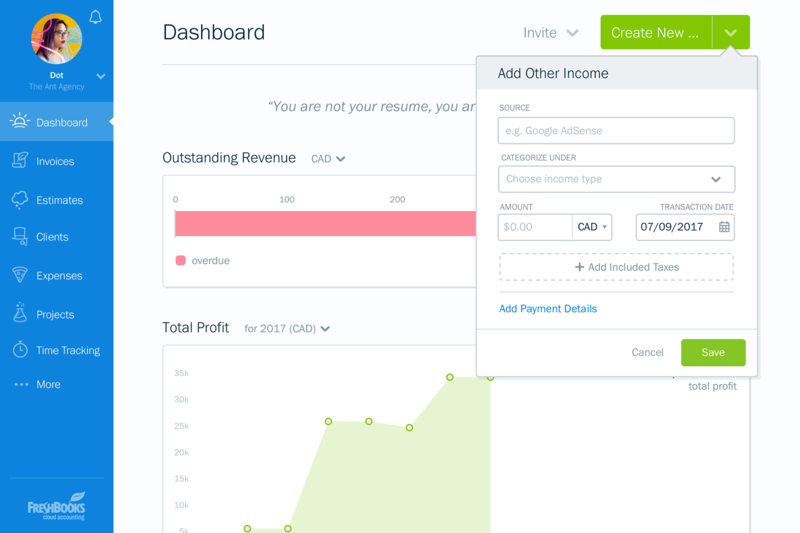 Step 4: Here’s your Other Income breakdown, located on the Dashboard. At-a-glance you can see where your money is coming from and get insights that will help you make better decisions in order to grow your business. Want more info on Other Income? This helpful FAQ is here to serve. And here’s another tool to add to your organization roster, COGS. 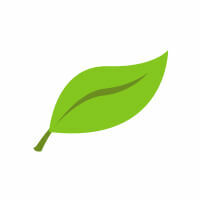 This addition helps you track and categorize your expenses more accurately. You’re in the middle of a project and keep racking up expenses on behalf of your client. Instead of worrying about being out of pocket, you can now simply track your spending on-the-go and categorize it as COGS. 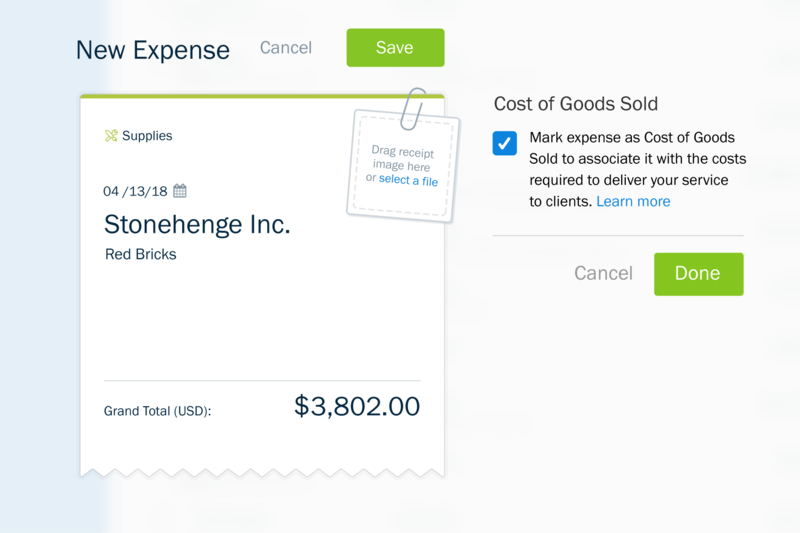 Once the project wraps up, you’ll be able to easily rebill the receipts back to your client and even add a markup. Plus, with your expenses properly organized, your reports will be meticulous, which makes tax season breezy and your accountant happy. Want to learn more about COGS? Explore this FAQ.